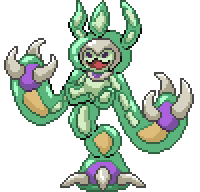 Reuniclus is a Psychic-type Pokémon. It evolves from Duosion starting at level 41. It is the final form of Solosis. It can Mega Evolve into Mega Reuniclus using the Reuniclite. 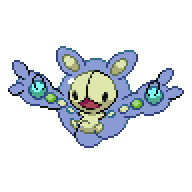 A level of "Start" indicates a move that will be known by a Reuniclus obtained at level 1. 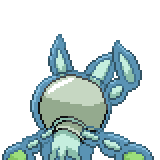 The increase to Reuniclus's Speed base stat upon Mega Evolving may be interpreted as an overall decrease in potential due to its ability, Speed Swap. This page was last edited on 20 May 2018, at 13:25.